What better way to save some “green” than to have the same company building your home, also installing your audio-visual equipment? Texas custom home builder, Sterling Custom Homes will work with you to incorporate the building of your home, with your media and technology needs in the overall structure of your home. Flat screen and High-Definition TVs are hot items right now, but no one wants a mess of wires lying around, and that certainly doesn’t match up with a sleek and modern look in a home either. Sterling Custom Homes feels the same way, and that is why when building new homes in Austin, they want to design and build a custom home to your preferences, and handle all of the complicated wires and mounts for your audio-visual equipment. Newer models of flat screen TVs also now have thinner displays, and ultra thin wall mounts, leaving them only two inches off the wall, looking much less bulky than original models, and providing ways for viewers to pull it 30 inches from the wall or view from different angles. Luxury home builder Sterling Custom Homes, knows that new technologies will fit better and be more positively eye-catching when coordinated by your home builder. So they can also design the placement and installation of your equipment, with careful placement of outlets, cable concealment, and correct wiring for voltage. Sterling has years of experience and lots of industry contacts, to negotiate pricing and manage audio-visual projects, saving you time and money. 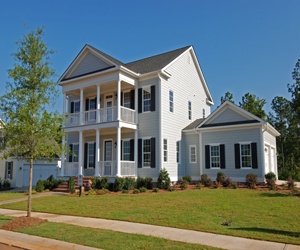 You won’t have to worry any longer about having several contractors, because Sterling Custom Homes will complete your home and technology installation at the same time. As a home buyer with this incredible opportunity open to you, it does bring ideas then of having an up-to-date media room in your home, doesn’t it? Well the builder will also make sure that your media room rivals others featured in leading home design magazines too! 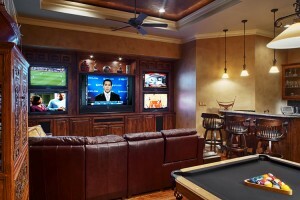 If you would like to install a media room in your home, have Sterling Custom Homes build your home and handle technology installation, or just find out more information, visit www.sterlingcustomhomes.com. To stay current with the latest company news, interact with them on Facebook , or follow them on Twitter as well. This entry was posted in Energy Efficient, Green News, News and tagged custom homes in austin, sterling custom homes on October 30, 2010 by Carol Morgan. The Environmental Protection Agency (EPA) recently recognized St. Alban’s Episcopal Church in Monroe, Georgia for its achievements in the fight against climate change. St. Alban’s, one of nine small businesses and congregations recognized nationally, has shown that with effective energy management practices and innovative efficiency solutions, it is possible to save money and use significantly less energy to power buildings and facilities. Like many congregations, St. Alban’s Episcopal Church is housed in a facility that has been expanded, renovated, and changed over time. The church was founded in 1953, built its first 800-square-foot building in 1954, and today occupies 14,703 square feet. The additional square footage is comprised of two separate expansion efforts, the last taking place in 2000. Energy had not been a large concern when the building was first built. But a changing world and a growing membership have moved energy stewardship as one of the most prominent positions on the church’s list of goals in the last three years. The first steps in increasing efficiency were improvements to the older building’s envelope, adding insulation, and changing lighting from incandescent to CFL. Smaller, but significant, improvements included timers on water fountains, weather stripping, and caulk. Landscaping was upgraded to include large areas of mulch to reduce mowing and water. One office was relocated to substantially reduce HVAC expenses in the newest building. The parish has also signed up for the ENERGY STAR ® Challenge, committing to reducing energy usage by 10 percent a year. Signing the GIPL Covenant is another commitment made by the parish to help it remain on track. Saint Alban’s Episcopal Church estimates that they are saving more than $1,500 annually in energy costs for the operation of their worship space. The savings of nearly 70,000 kWh per year represents a reduction in greenhouse gas emissions equivalent to the CO2 emissions from the annual electricity use of over five homes. Efforts have not stopped with improved energy efficiency. Recycling cardboard, bulletins, newsletters, and office waste saves a ton of paper, saving 17 trees, 380 gallons of oil, three cubic yards of landfill space, 4,000 kilowatts of energy and 7,000 gallons of water. The 2010 Energy Star Small Business and Congregations Award winners used tools and resources provided by EPA’s Energy Star ® program to develop their plans and measure and track their accomplishments. By strategically managing the energy performance of their facilities, these small businesses and congregations cut utility costs without sacrificing features, convenience, style, or comfort while making significant contributions to a cleaner environment. This entry was posted in Green Awards, Green Events, News and tagged ENERGY STAR, green building awards on October 13, 2010 by Carol Morgan. If potential new home buyers are a little nervous about jumping into the real estate market and applying for a mortgage, it’s understandable. With all the talk about stringent lending standards and the gaffs major lenders have been making, it’s hard to know where to start. Equifax Personal Finance Blog post by real estate expert Ilyce Glink, offers links and information on several of those programs. For veterans who served at least 90 days during wartime and at least 181 continuous days in peacetime (and didn’t receive a dishonorable discharge), VA loans are a good option. They are backed by the government, and they allow veterans to finance up to 100 percent of the purchase price of their primary residence. The VA sets price limits for each county, and the property must fall within those limits. Programs are available to non-veterans, too. 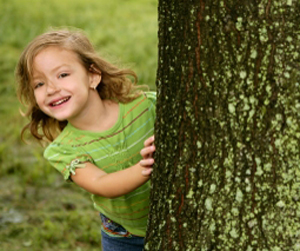 The USDA Rural Development Direct Loan program is another way to buy without a downpayment. Again, there are location requirements, but you might be surprised at how many eligible “rural” properties are close to seemingly urban locations. There’s an income ceiling, based on the average median income where you’re purchasing. For this loan, the requirements state that borrowers must be unable to get credit elsewhere, though they still must have a decent credit history. For HUD homes in FHA foreclosure, you can get into a home with a downpayment as low $100 through FHA’s $100 Down Payment Incentive program. Other HUD programs also offer low down payment options, ranging from zero to $1,000 down. If you are buying your first home, there are lots of extra opportunities just for you, many of them managed locally. Glink recommends using your favorite Internet search engine to narrow down the “first time home buyer down payment” options for your city name. Equifax Personal Finance Blog offers links to information on the VA, FHA, HUD and USDA programs. As intimidating as home loan shopping may seem, there’s plenty of help and information available to ease the process. Take advantage of it before today’s low interest rates are history. This entry was posted in Energy Efficient, Featured, Green News, News and tagged equifax personal finance blog, home loans, mortgage help on October 8, 2010 by Carol Morgan.